UFC 200, scheduled for July 9th, 2016 in Las Vegas, Nevada, is set to be one of the biggest MMA events of all time. The highly stacked fight card is headlined by a rematch between Jon Jones and Daniel Cormier, for the light heavyweight title, and its co-main event is another awesome rematch—once again for a belt—between former featherweight champion Jose Aldo and former lightweight champion Frankie Edgar. Also on the card, bantamweight champion Miesha Tate—the woman who, most recently, dispatched Holly Holm—will defend her title against Amanda Nunes. That’s right—UFC 200 includes three title fights! The touted event also boasts the return of former heavyweight champion Cain Velasquez, against the skilled Travis Browne, as well as a meeting between former welterweight champion Johny Hendricks and TUF winner Kelvin Gastelum, amongst many, many other fights. In other words, UFC 200 cannot be missed. Let’s take a look at predictions for the one-of-a-kind show’s main and co-main event fights! There’s a good chance that this rematch will steal the show. Even before both men met at UFC 182 (a deceivingly close encounter which Jon Jones won via unanimous decision), it’s been clear that they despise each other, for quite a few different reasons, and it looks as though they’ll finally be able to settle their differences once and for all at UFC 200. Many forget how close the first encounter was, wherein Jon Jones clearly won, but on many scorecards, by a count of three rounds to two. DC stayed competitive until he ran into some cardio issues in the championship stanzas, but even then, Jones wasn’t able to dominate him. Although Bones has the reach and height advantages, DC is probably stronger, and certainly possesses a more technical wrestling game. 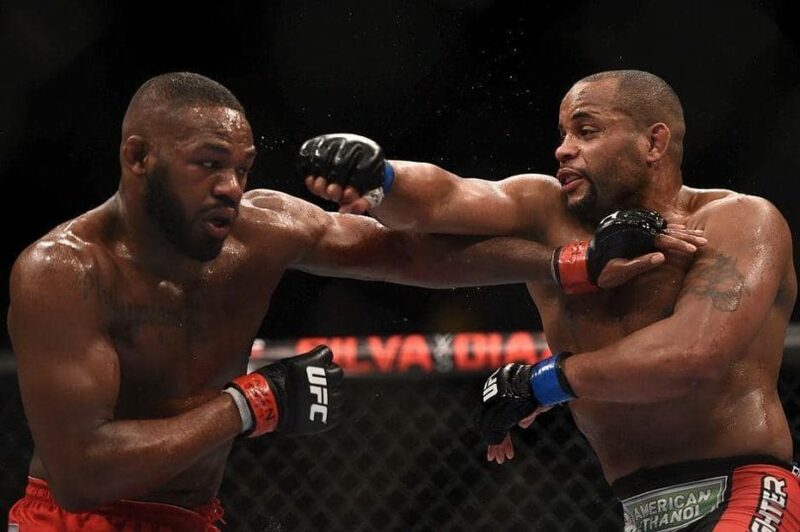 While certainly not guaranteed, given Jones’s skills, there’s a good chance that Daniel Cormier will shock most everyone and walk away with the undisputed title here (Jones is the interim champion), as a result of his tenacity, his consistent preparation, and the still-present out-of-cage performance detractors affecting Jones. 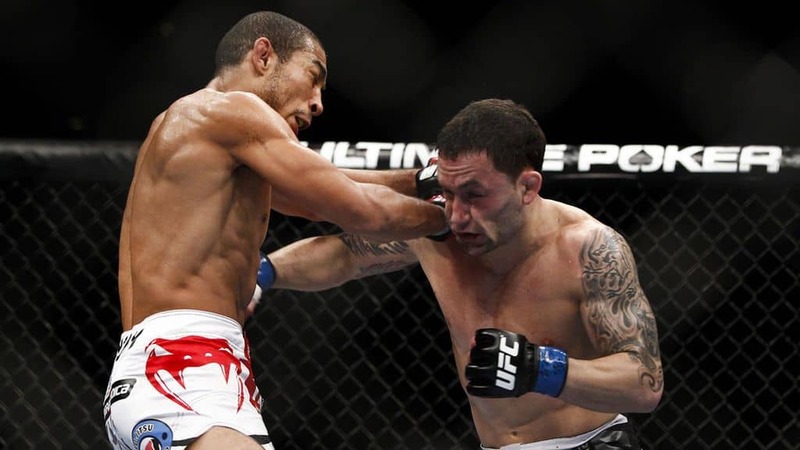 What many are overlooking in this awesome rematch and co-main event is that Aldo will certainly compete with less confidence than he has in the past. Forget that he already beat Edgar once (a competitive decision); you’re only as good as your last fight, and the fact of the matter is that that Aldo stepped onto a massive stage in his last outing against Conor McGregor, where there was an abundance of bad blood between both men, and was KO’d in just thirteen seconds. While this would be a debilitating loss for any fighter, the reality is that is reminded many of a fact that was widely overlooked, given Aldo’s long-running reign of terror the featherweight division: he is only human. This point will be abundantly clear to Aldo against the streaking and confident Edgar, and as a result of it and the core skills of “The Answer”, “Scarface” may be outpointed. Frankie’s cardio doesn’t quit, and as was apparent in the Mendes fight, his striking—and more specifically, his ability to land power punches—has never been better. However accurate these predictions prove to be, there is one guaranteed winner of UFC 200: the fan. Be sure to catch all of the action and witness history when it goes-down on July 9th, 2016 on pay-per-view.